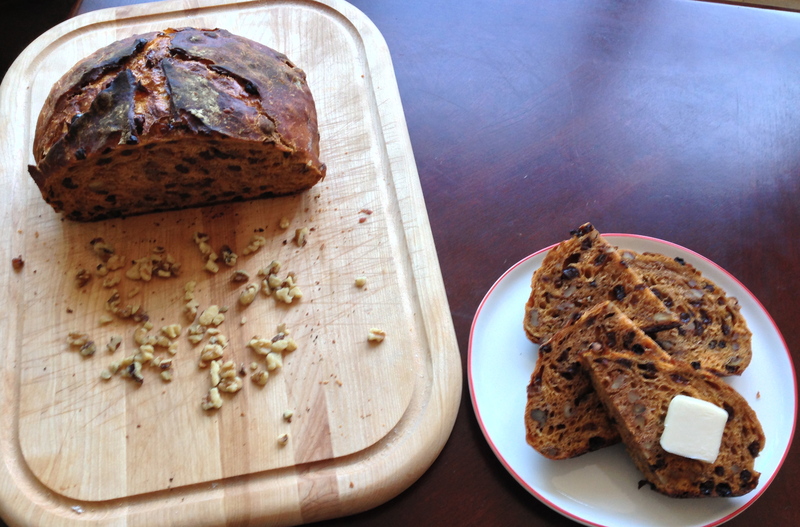 Today I have another no-knead recipe for you. No-knead has really become my favorite way to make bread. It is just so easy, and more importantly, it consistently turns out great. The one tricky part about making no-knead bread is the timing. Once the dough is made, you have to bake the bread 12-18 hours later – even if life gets in the way. In fact the other day I said no to plans after work because I had to go home and bake this bread! It is slightly pathetic to let my baking interfere with my social life, but what can I say, I’m committed to making great recipes for this blog! 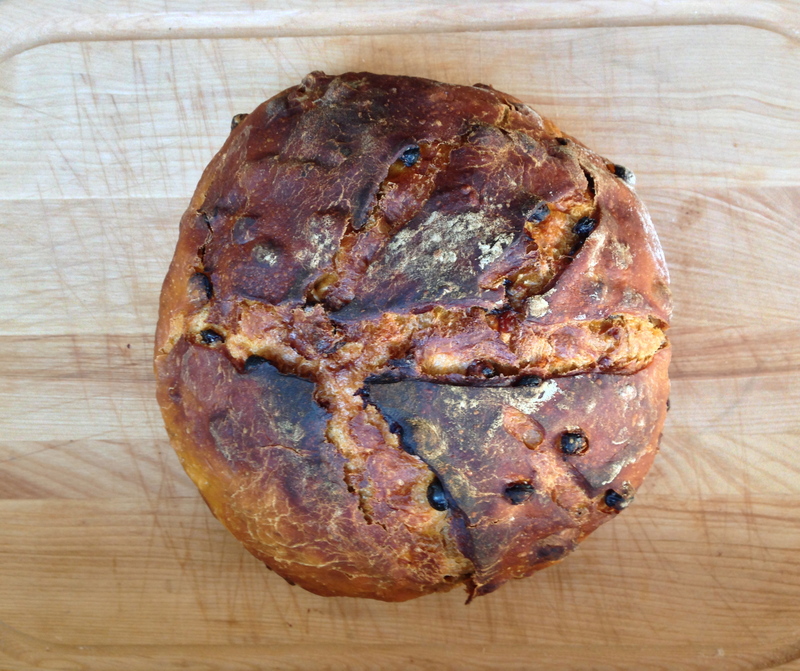 And I really wanted to eat this bread all weekend Plus look at that gorgeous orange dough – I couldn’t let it go to waste! This recipe is made with fresh carrot juice instead of water. The carrot juice imparts a subtle sweet, earthy flavor, and gives the bread the prettiest orange color. 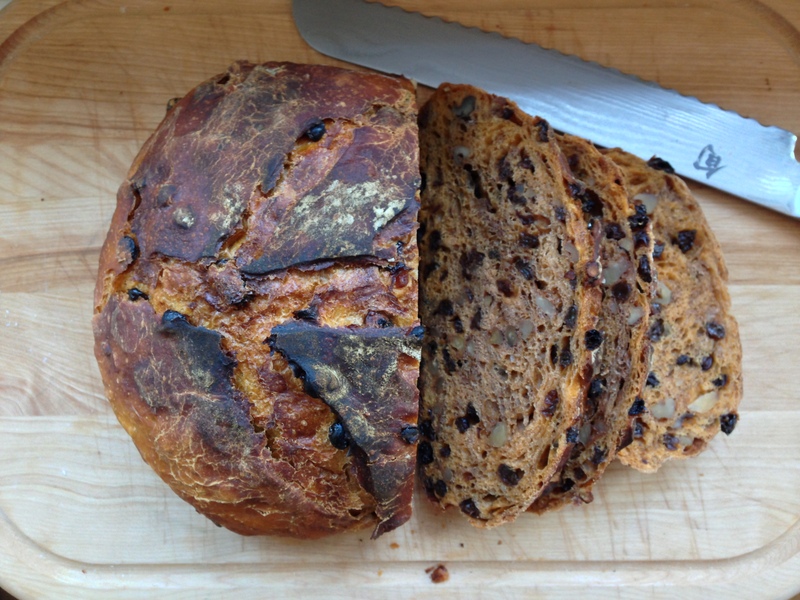 TheBetterHalf is not the biggest carrot fan, and he ate this bread, so even if you aren’t a carrot lover I would still give this recipe a try! 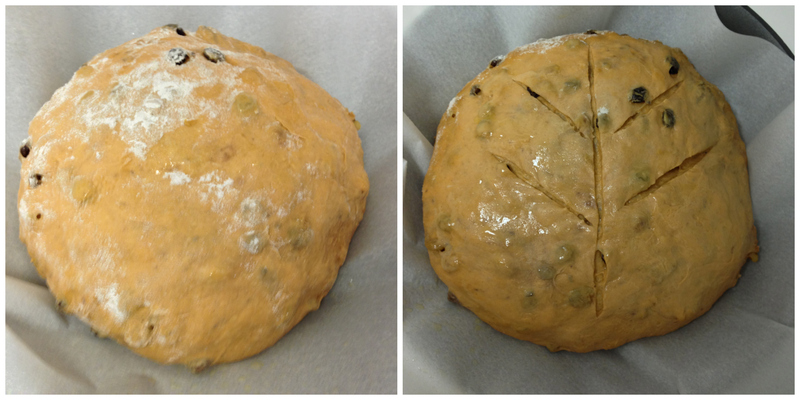 Dough ball before and after rising. I slashed it before putting it in the oven, but I wouldn’t recommend it. I prefer the way that the dough opens naturally in the oven. 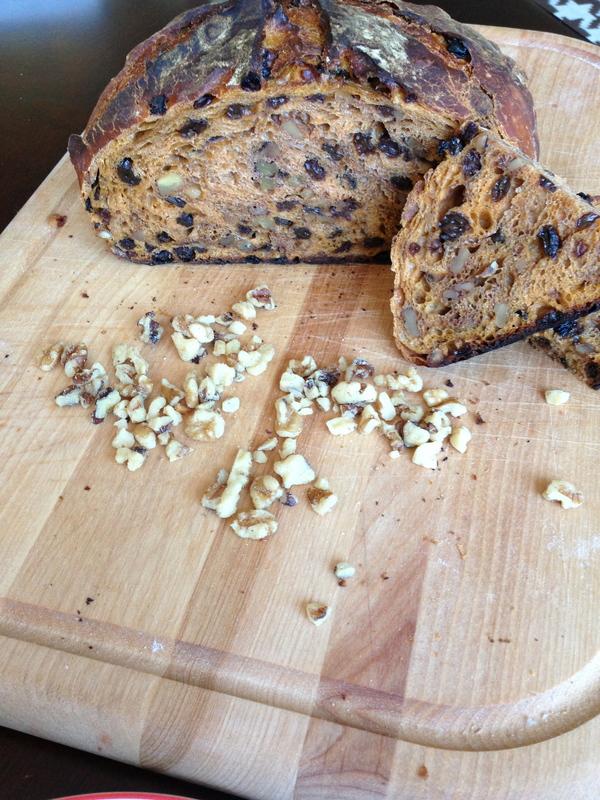 Look at all of those currants and walnuts! This makes the best toast. Look at this post for more tips on making no-knead bread. 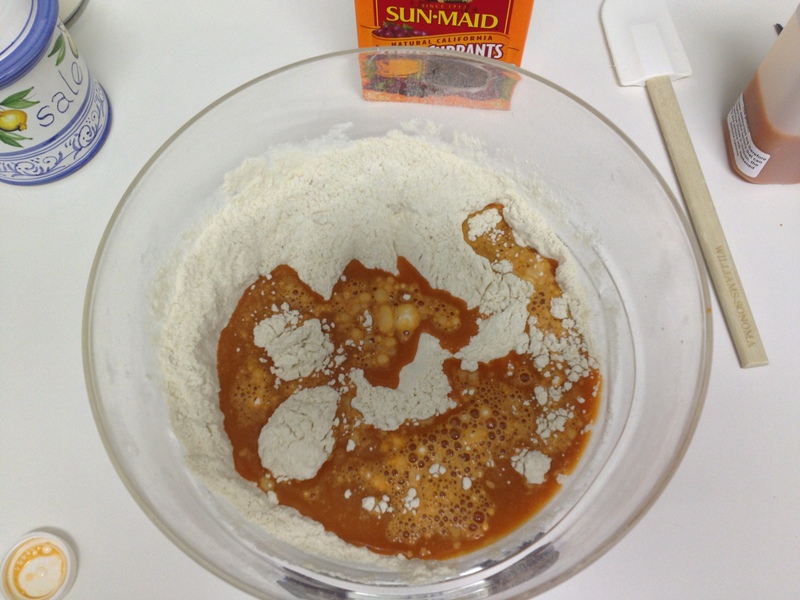 In a large bowl, stir together the flour, salt, cinnamon (if using) and yeast. Add the carrot juice and using a rubber spatula mix until a shaggy ball forms. If the dough does not feel sticky to the touch, add in a bit more juice or water. Mix in the currants and walnuts. Cover the bowl with plastic wrap and let it sit at room temperature for about 12 – 18 hours, until the surface is dotted with bubbles and the dough has more than doubled in size. Half an hour before the end of the second rise, preheat the oven to 450 degrees F, with a rack in the lower third position, and place a covered Dutch Oven in the center of the rack. Take the pre-heated pot out of the oven, and carefully transfer the dough into the pot by lifting the parchment paper and lowering it into the pot. Quickly cover the pot and put it in the oven. Bake for 25 minutes. 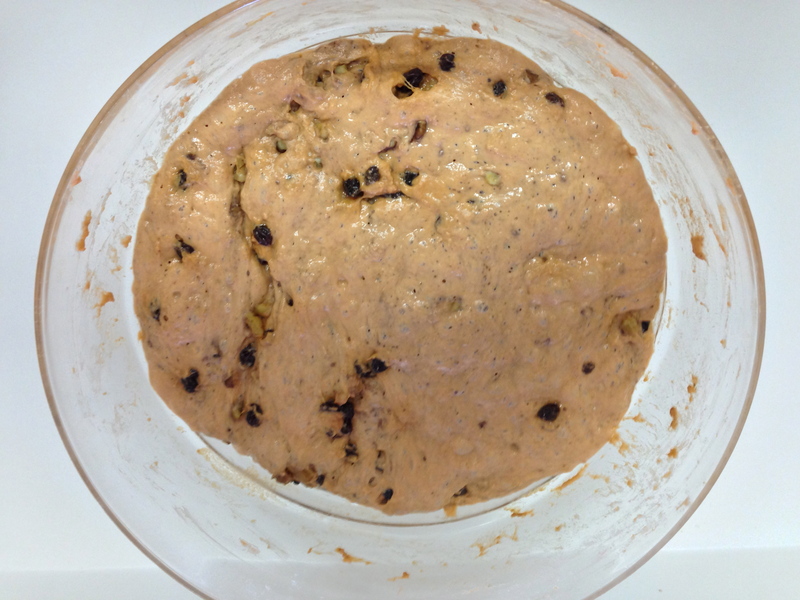 Remove the lid and continue baking until the bread is a deep chestnut color, 10 – 20 mins more. Make sure to check the bread so it doesn’t burn, because every oven is different. An instant-read thermometer will register 210 degrees, or you can tap the bottom and listen for a hollow sound. Carefully remove the bread from the pot and transfer to a wire rack to cool. how wonderful, I have all of these ingredients! – Thank you for sharing. Perfect, you can whip up some dough right away!! Mmmm, yummy! 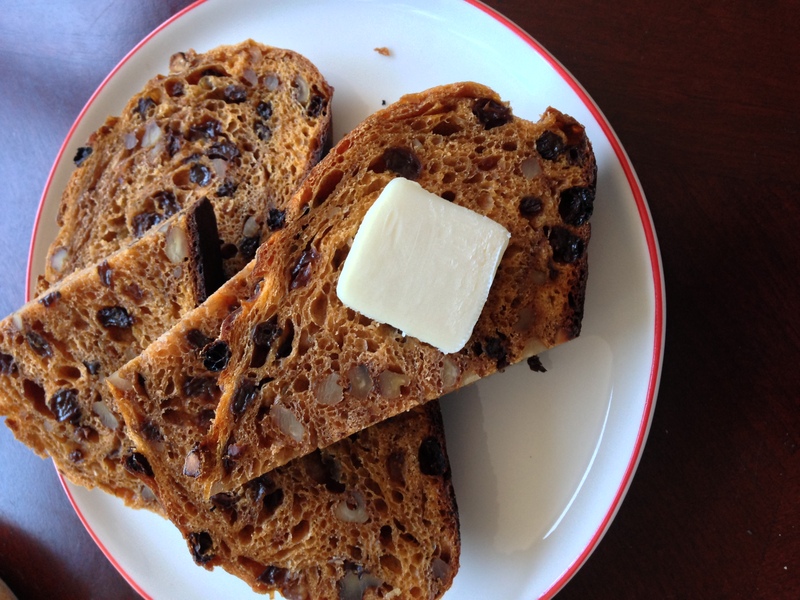 This is a lot like a delicious fruit loaf my mom makes… I like that yours is no-knead! That crust looks gorgeous! 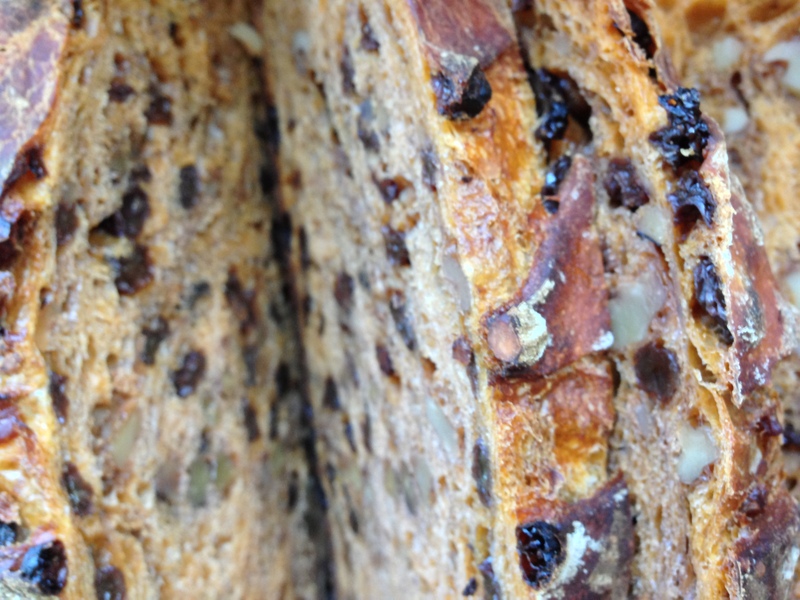 With juicy currants and a pat of butter!? I’m in. This looks so good, I will give it a try! 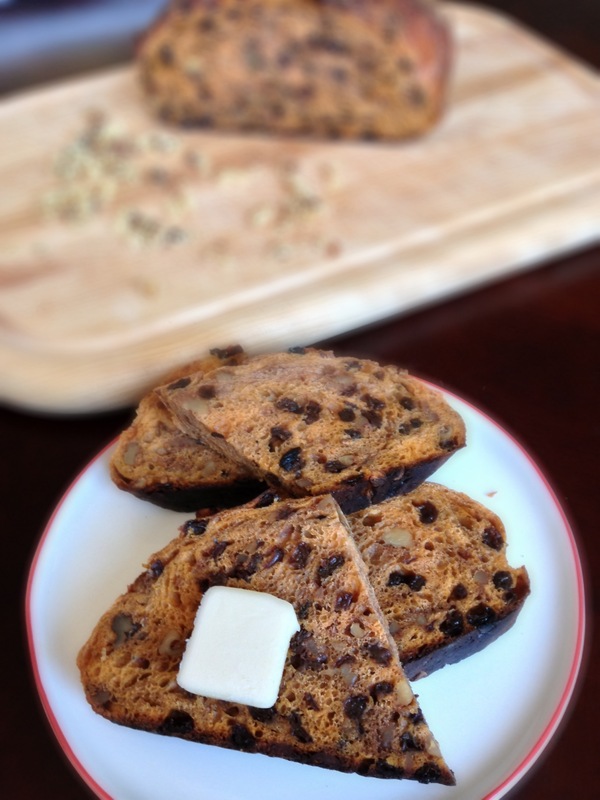 I made this last week, only I used craisins instead of currants as that’s what I had. I do juice, so it’s not a problem making carrot juice. I’ve been making no knead breads for a few years now and just tried this loaf, in the dead of summer no less. I want to say this is one of my favorites now. I like it with goat cheese or cream cheese. Hi Rob – thanks for the comment! 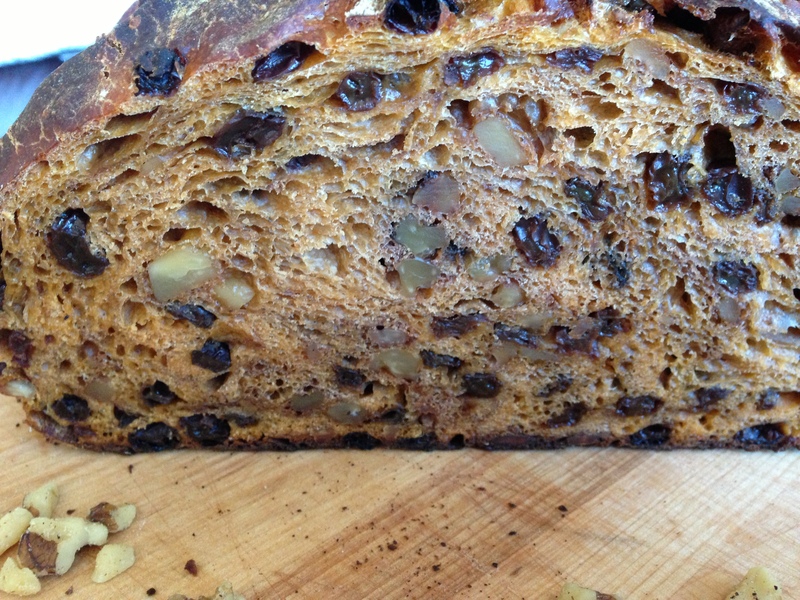 Craisins sound like they would be delicious in this bread, I’ll have to try that next time!